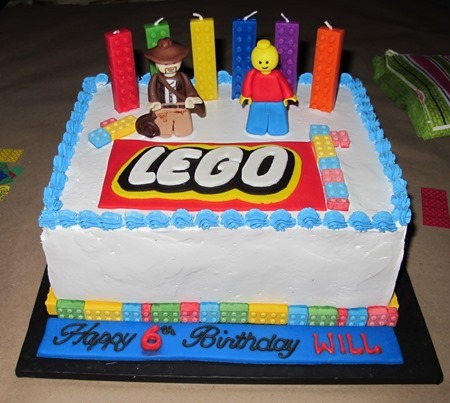 So you've got a Lego fanatic in the house. 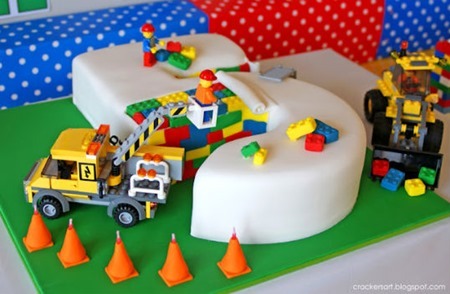 This year, they've begged for a Lego birthday party and you're not sure where to start. Not to worry! We’ve rounded up the best ideas from around the internet, from invitations and games, to decorations and cake. This post is full of eye candy that is sure to inspire your best party planning efforts. 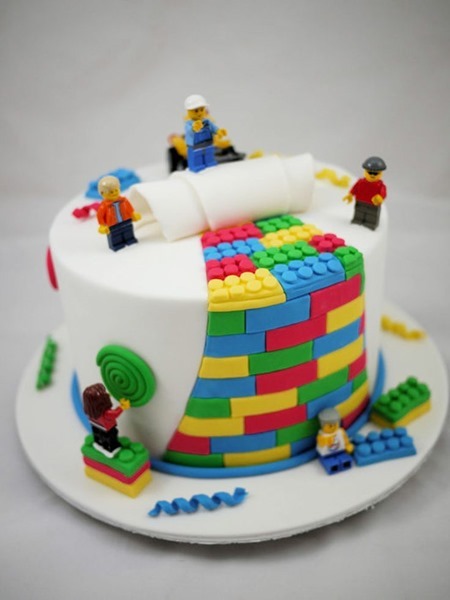 Whether you choose to do one or two ideas or go all out and throw the ultimate Lego bash, we’ve got your covered. Party on Lego fans! DO make the party colorful, think red, blue, yellow and green! 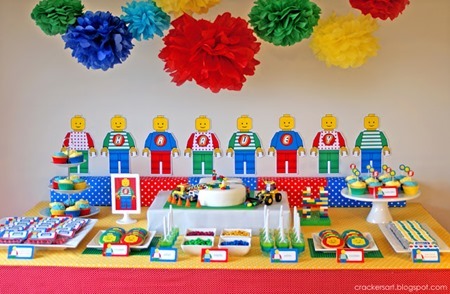 DO make use of your child’s vast Lego collection in your party decor. DO check out the ideas here in this post. Take your time and click through to each website. Some very talented people have executed this party in so many fabulous ways. Learn from them! DON’T spend a lot of money on this, if you have colored paper and Legos on hand, you’re halfway done. Make your own invite or check out some great options on Etsy. 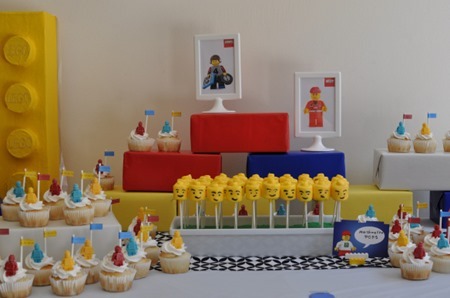 Display the guest of honor’s name in Legos, either in the entryway or on the party table. 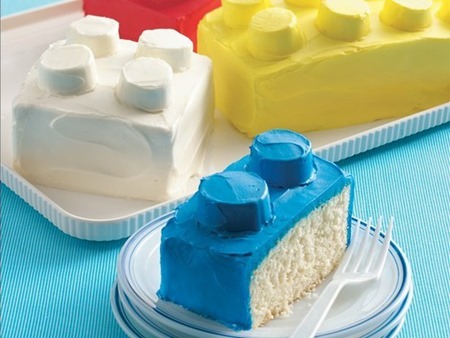 Create custom Lego dinnerware with plain yellow paper plates and a black marker like these from Home Slice. Add a little pizzazz to your party straws with these straw toppers (found here at Etsy), or make them yourself! 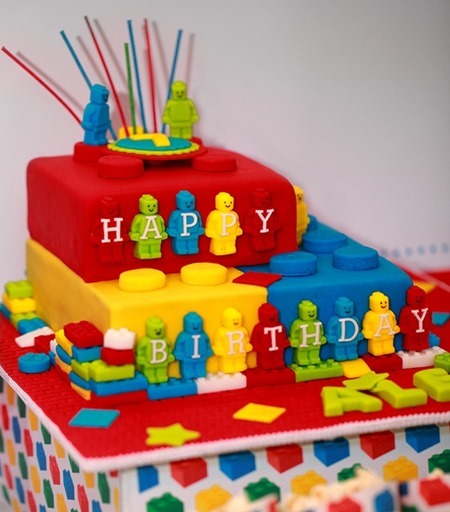 Announce the birthday boy or girl’s age with a Lego number sign. 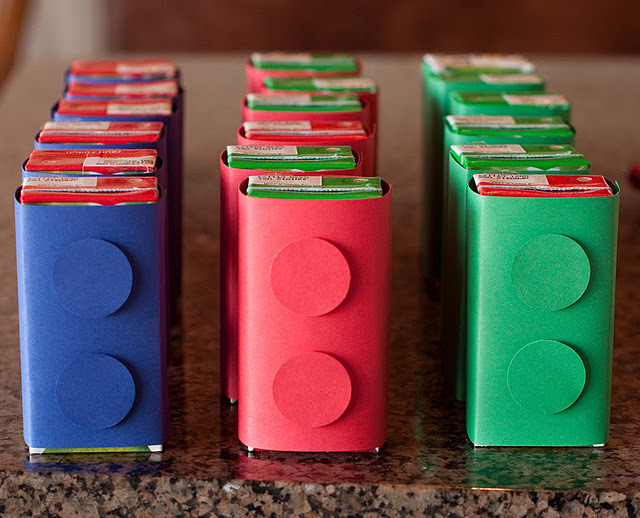 Decorate drink pitchers (or juice boxes if you prefer) to look like colorful Lego bricks. Find out how at Delicate Instruction. Delicate Construction decorated their party table with a Lego Brick Banner. 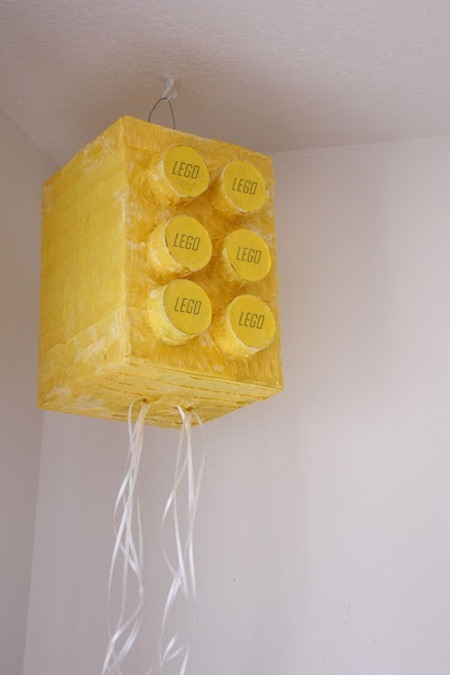 Use jars of Lego bricks as balloon weights! 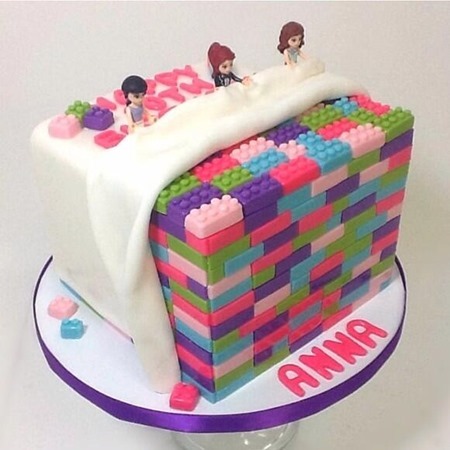 Incorporate Lego bricks and flat plates into your decor as serving platf0rms. 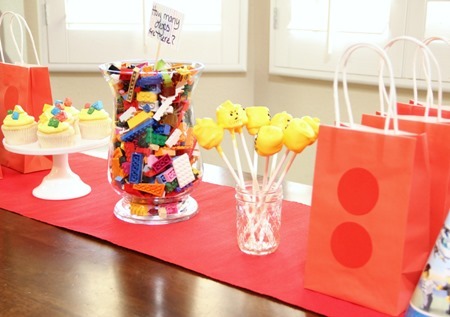 Make place cards out of Legos so your guests know where to sit. 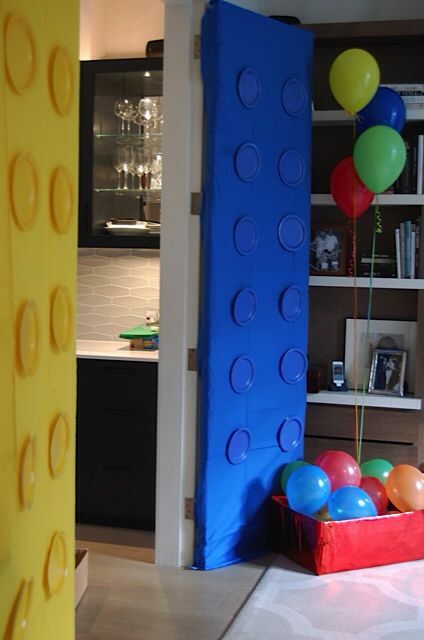 Turn your doors into giant Legos with disposable table cloths and matching paper plates. Easily transform your soap to be part of your Lego decor like Simply Sara did with her bathroom soap pump. 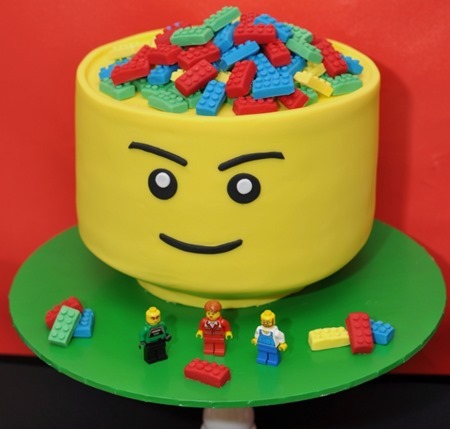 Make the birthday boy feel extra special with a Lego Crown like this one from Delia Creates. Make the birthday boy or girl their very own Lego Man T-Shirt like this one from Over the Big Moon! 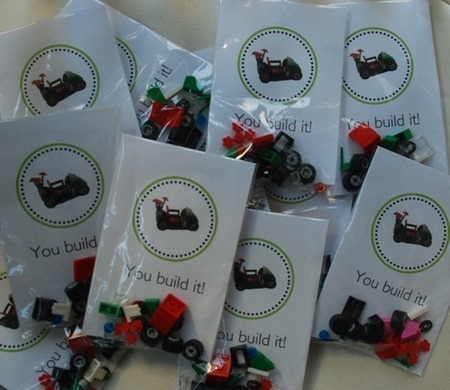 Play the game like Hot Potato, but have players add a Lego brick each time it gets to them. Keep going until one player is left. Don’t get caught with Lego sculpture when the music stops! Write simple sculpture ideas down on cards or pieces of paper. 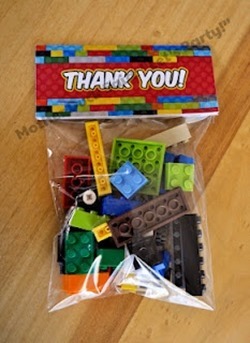 Provide a bucket of Legos to work with, and give each player or team 10 minutes to make their sculpture. Have players guess what the sculpture is and give prizes for the winner! Divide the group into teams. Give each team a big pile of bricks and see who can build the tallest tower in 5 minutes. 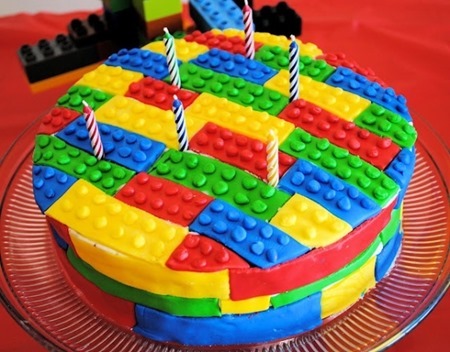 Let each party guest build their own Lego creation. Provide a big pile of bricks and accessories (doors, windows, and other oddly shaped Legos) to work with, give them a good amount of time to work with, and enjoy the silence! Let them admire each others designs, and give prizes for different categories (suggestions – tallest, funniest, best details, fastest work, most creative, most colorful, etc.). 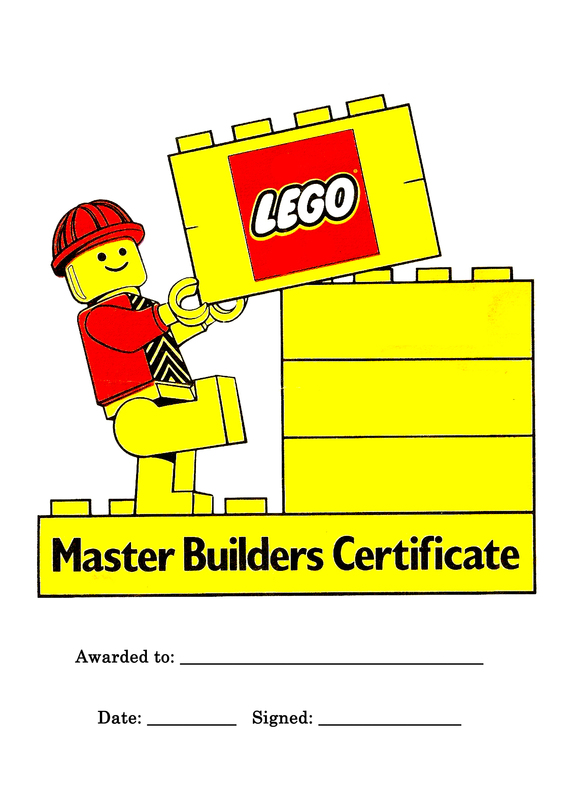 You can also give out Master Builders certificates to all (this one is from How to Cook That). This is a good one to have guests do as they arrive at the party. Place a clear container full of bricks on a table and have kids guess how many Legos there are by filling their answers out on a sheet of paper or on slips of paper. Announce the winner at the end of the party. 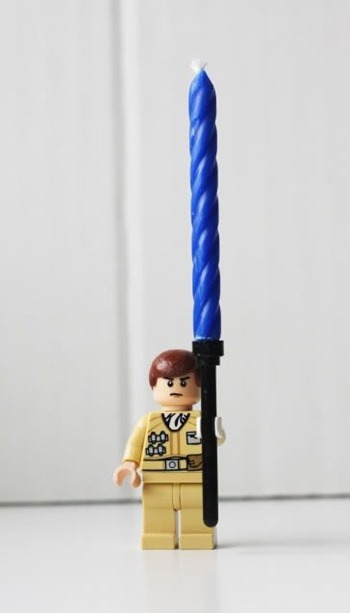 Be sure to count the Legos yourself first! Print out free Lego Bingo cards and use Lego bricks as the markers. Provide car parts (wheels, car bases, seats, steering wheels, windshields, etc.) for the kids and let them make their own vehicles. Make a ramp out of a plywood sheet (as simple or elaborate as you want to make it), and let the kids race their creations to the bottom. 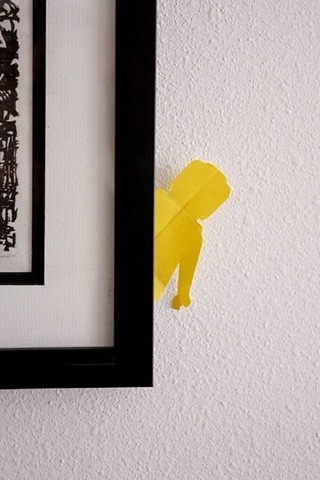 Draw a Lego figure on a piece of poster board, leaving the head blank. 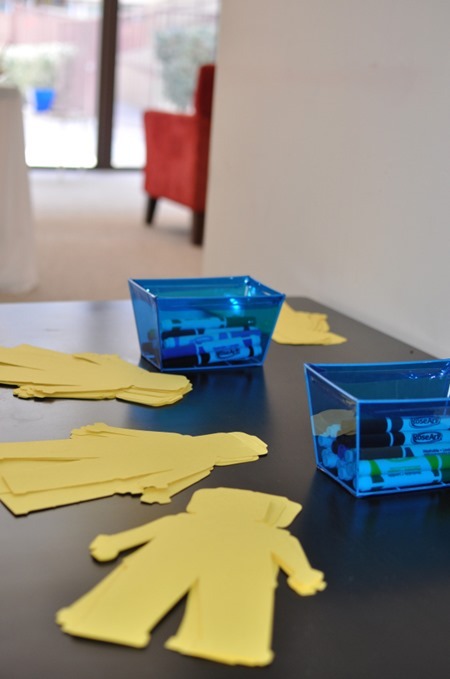 Make additional heads on yellow cardstock like this game from The Photographer’s Wife. Delia Creates posted this great game that will surely be a crowd pleaser. 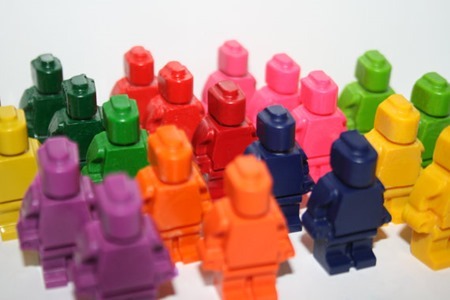 Using an online template, create these cute paper Lego guys and hide them around the party area for kids to find. Set up a color your own mini figure station! 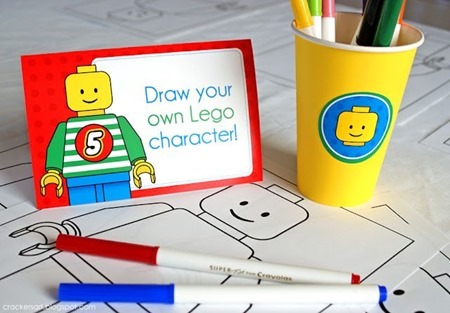 Simply provide blank Lego man shapes and markers and you’re good to go! (Idea from 24 Usable Hours). Or print out blank coloring pages for the coloring table… Homegrown Learners has templates for both boys and girls – get the free printables here. 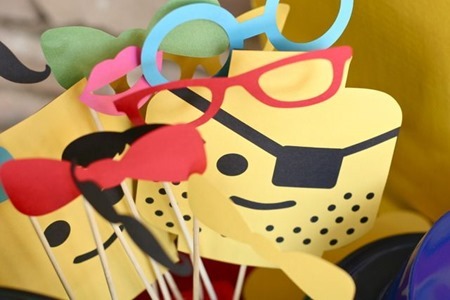 Set up a photo booth with props and let the kids get silly! Make your own props, or find some online like these available from Etsy for $15. Throwing an indoor party? Try a pull string pinata. 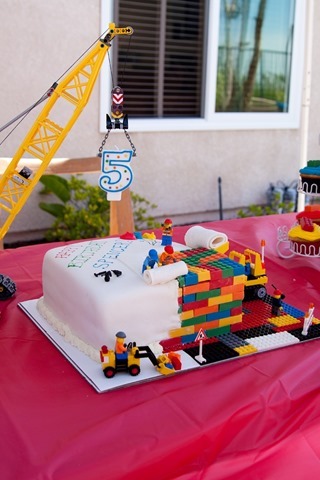 Find out how Delia Creates made this Lego Brick Pull String Pinata for her son’s party. 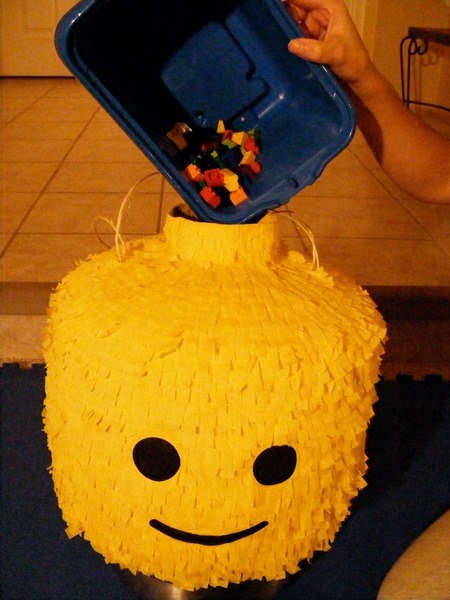 Fill your pinata with candy… or Legos! 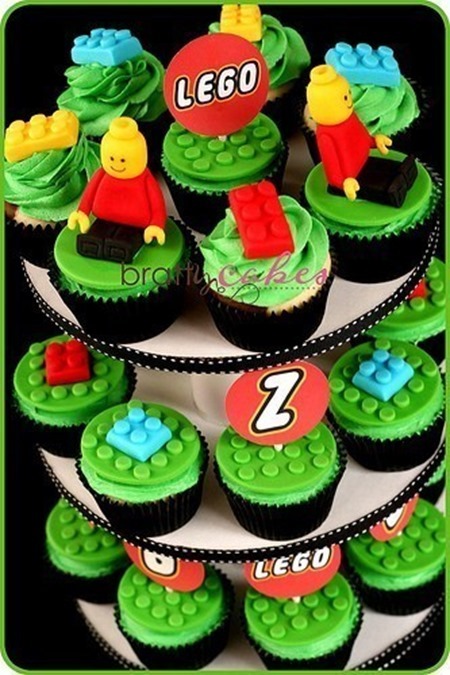 We’ve pinned quite a few Lego themed cake/cupcake options, each cuter than the last. Some of these look too good to eat! 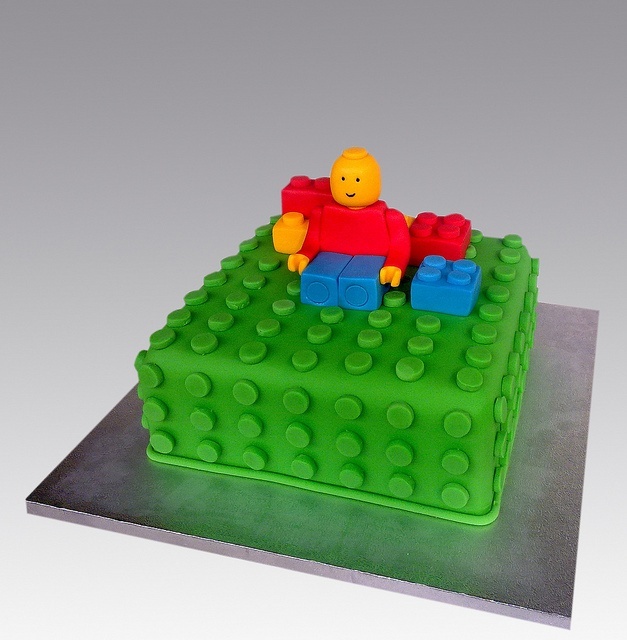 If you don’t want to brave one of these creations yourself, contact one of the fabulous local bakeries we have in our directory to see what they can do for you! Click on each photo to visit the original website. 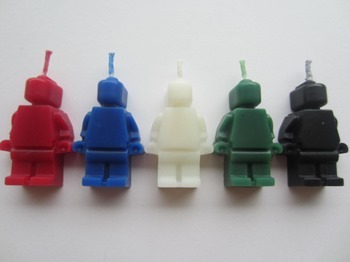 Top off the cake with some fun candles, or create your own candle holder using one of your child’s favorite mini-figs! 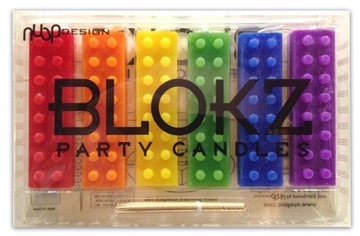 (Target sells Lego shaped candles from Spritz too). 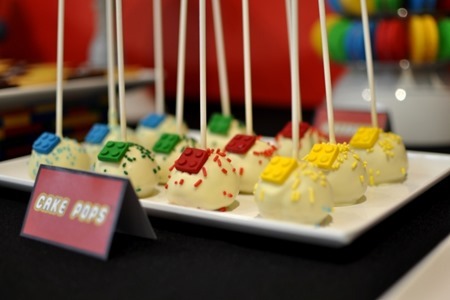 These Lego Cake Pops from Space Ships and Laser Beams are so sweet! 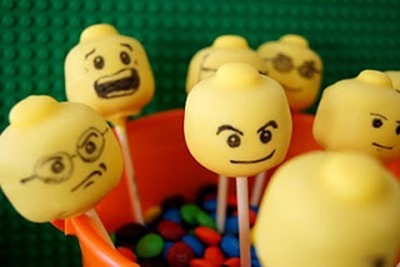 The faces on these Lego Head Cake Pops from Where Is My Spatula are adorable. Here is a step-by-step tutorial on how to make them (thank you Seven Little Monkeys). 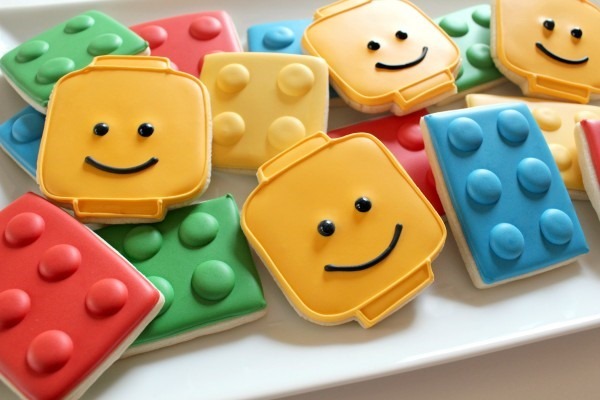 Wow them with iced sugar cookies in the shape of bricks and minifigure heads like these from Sweet Sugar Belle. Get Lego cookie cutters, use them to make cookies, shape sandwiches for the guests, or both! 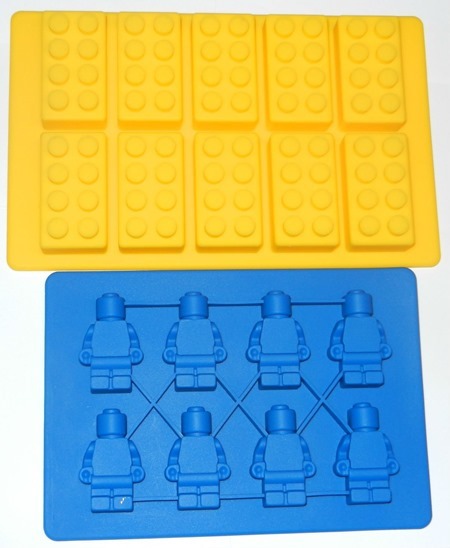 These Building Bricks and Minifigure Ice Cube Trays or Candy Molds (Amazon) are perfect for making little chocolate decorations to top off cupcakes or mini treats for favor bags. 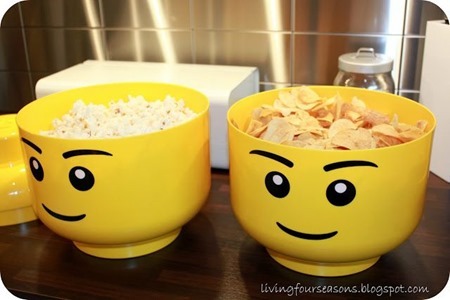 Get creative with your serving dishes – these Lego Storage Heads make great chip bowls! 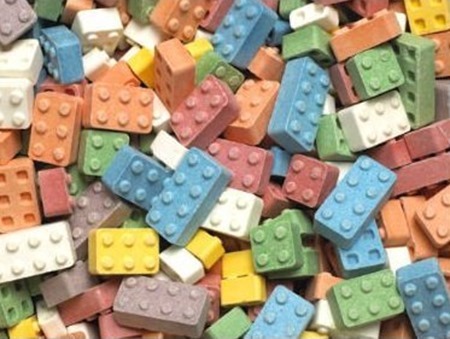 Fill a bag with Candy Blox, the assorted flavor candy that looks (and stacks) like Lego bricks. Amazon carries many different size bags. 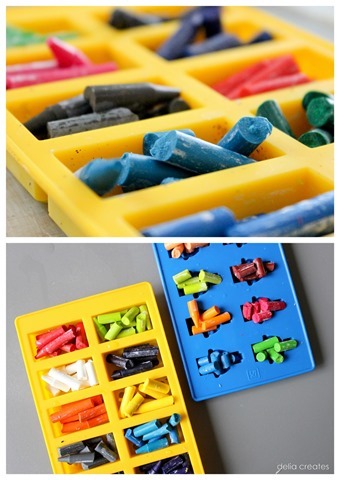 Lego Crayons make fun and unique favors! Etsy has quite a few shops making these, or you can create your own with Lego molds (see tutorial from Delia Creates). 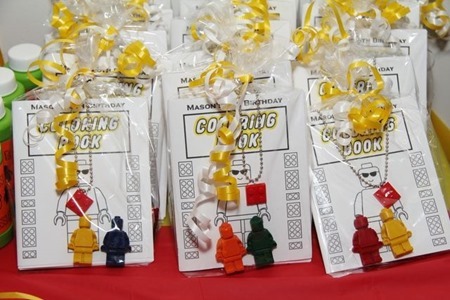 Catch My Party featured this fun favor pack that combines a small coloring book with minifig crayons – brilliant! Send them home with a bag of bricks! Add a colorful ribbon or bag topper to complete the favor. We love this idea – give each guest the makings of their own vehicle to make at home! (If you have a Lego store near you, just grab these parts from the back wall bins). 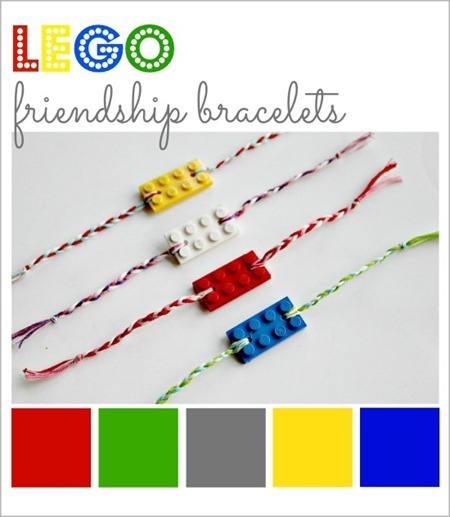 Give out Lego Friendship Bracelets, or pre-drill the brick and have this out for a party craft. 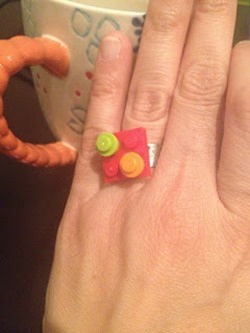 Silly Happy Sweet gave these Lego Bling Rings to the girls at their party. 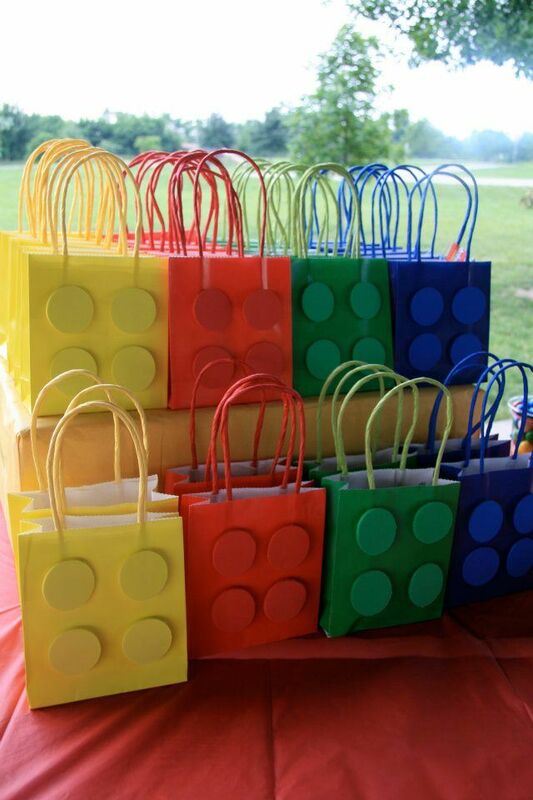 Purchase solid colored handled bags, add matching colored circles and voila – you have Lego goody bags! 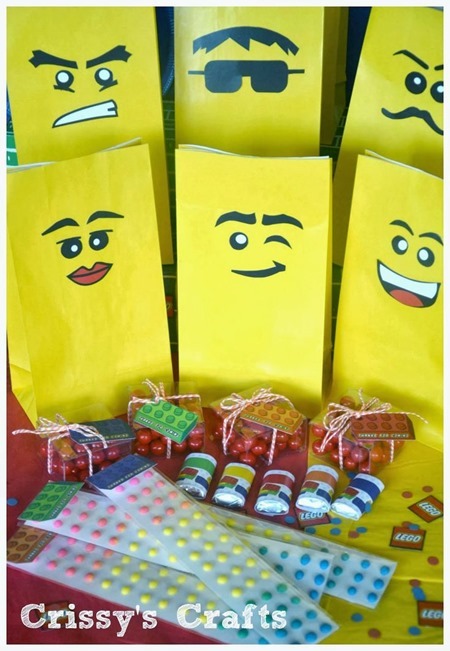 Or draw Lego faces on plain yellow bags and fill with treats of your choice. Click here to get the free printable that Crissy’s Crafts used to make these fun faces. Now pull all those ideas together in a fun and festive PARTY TABLE! (Click on the photos to visit each source website). 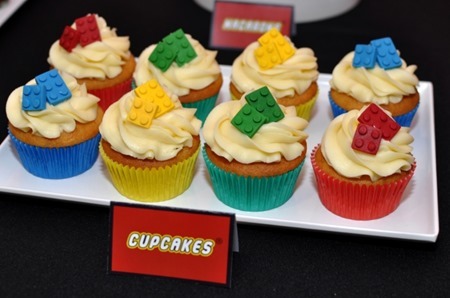 For even more Lego party ideas, visit our LEGO LOVE board on Pinterest! 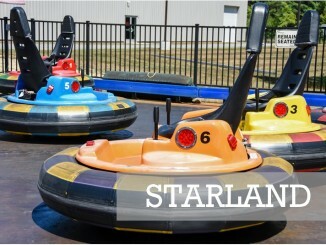 We Deliver FUN! From moonwalks, obstacle courses, water inflatables and interactives to tents, tables, chairs and fun food machines we’ve got it all to ensure your event is one to remember. Unique event entertainment from private parties to corporate events. Juggling, Magic and Comedy to create a fun experience for your event! 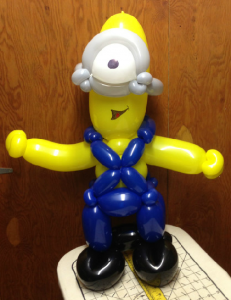 Birthday party characters, balloon twisting, magic, face painting, games, and more! Hire-a-character party entertainers customized for any age or type of party. 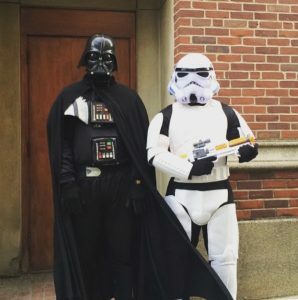 Costumed entertainment for special events. 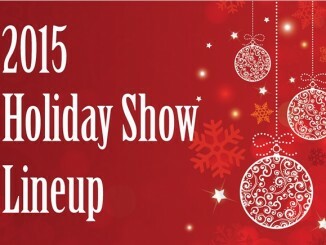 Perfect for birthday parties, holiday events, school programs, fundraisers and camps. Professional, reliable, and creative. This Milton based company has been a South Shore favorite for over 10 years. 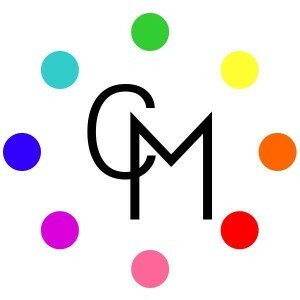 Fun Faces With A Twist provides professional face painting, balloon twisting and glitter tattoos in Massachusetts and Rhode Island. We strive to offer the best in children’s entertainment! Ensure your child’s day is truly special with Ponytails Pony Parties. 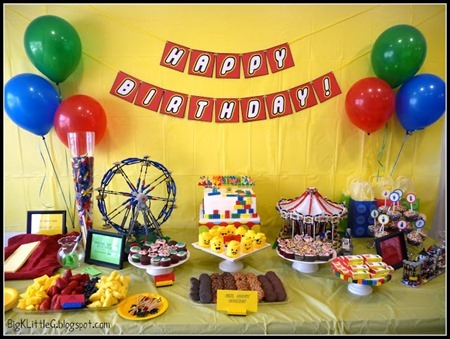 We host interactive children’s parties throughout the greater Boston area, South Shore, Cape Cod, Providence and many other areas featuring pony rides and other fun activities. Your kids will even learn how to properly feed and brush our ponies. We encourage children to be the helper as we lead the ponies and teach them a trick or two about training our beautiful steeds. In a world that seems to be spinning faster and faster, stopping to enjoy the fruits of another’s labor is a true indulgence. 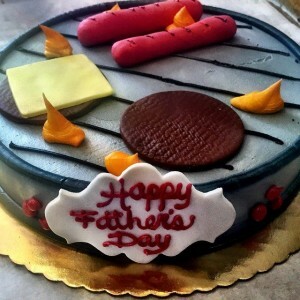 Montilios Baking Company of Boston, a premier bakery and cake shop, is a combination of family history, European traditions, and a desire to create the best. 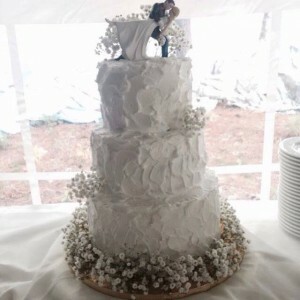 For more than 50 years, Montilio’s has provided world-class wedding cakes as well as the pastries you request daily! Stop by one of our four locations or have it delivered right to your doorstep! We use only the finest ingredients when custom designing the wedding cake of your dreams. Offering endless design possibilities from simple elegance to elaborate. Paying homage to European traditions. We’re Shark Tank survivors and TSA famous, but most of all, we love shipping cupcakes in jars across the country! Who’s ready for a wicked sweet time? 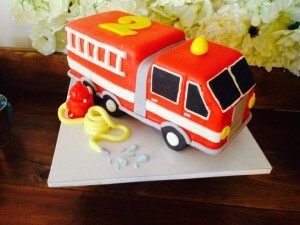 Custom Cakes for every Occasion~Ask about having 10% of the proceeds from your order go to Autism research. Licensed, Certified & Inspected residential business serving Plymouth, MA and surrounding areas. 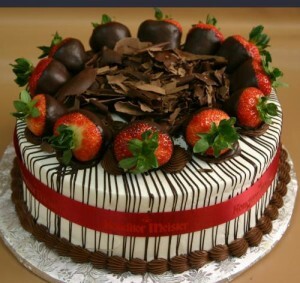 Serving the South Shore and Boston with the highest quality hand-crafted desserts for every occasion. 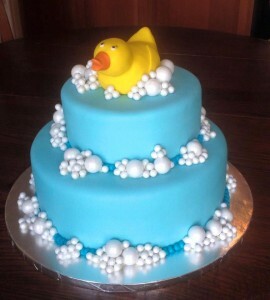 Theme cakes, dessert tables, custom cookie favors. 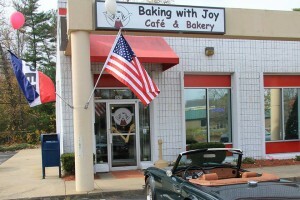 A specialty cake and mini pastry boutique on the South Shore. Specializing in custom orders! Our mission is to provide quality cookies, made from the freshest ingredients, that are too pretty to eat. At Cupcake Mojo we love Baking People Happy! We are flavor creators and party makers. Our scrumptious cupcakes and treats are baked with the finest ingredients, swirled with luscious hand piped buttercream and decorated just for you! 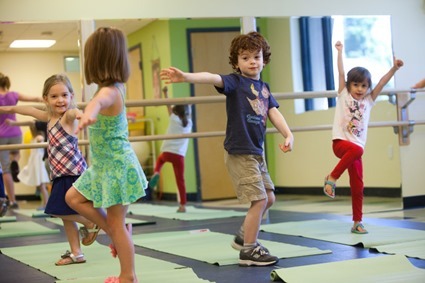 Keeping Kids Active, Despite The Weather! I’m interested in the “you build it” idea. Do you have any resources for the printable graphic used there or the instructions?